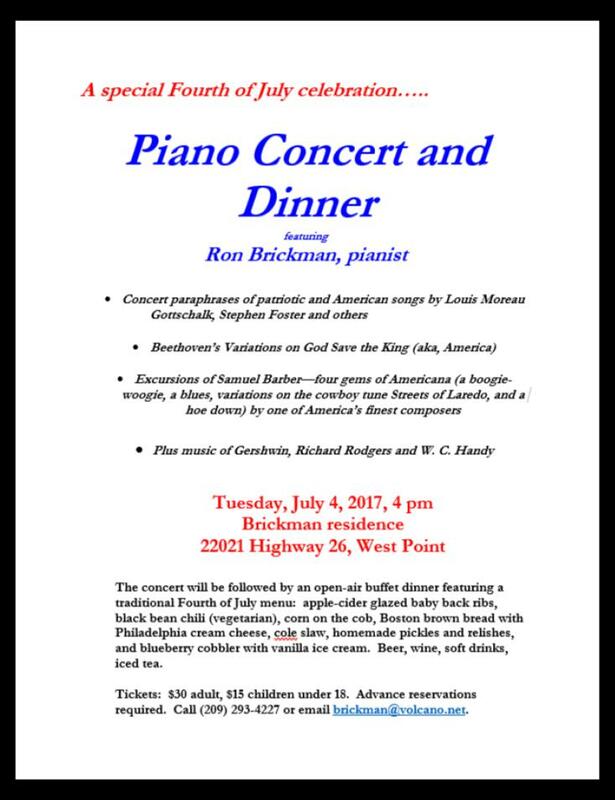 FOURTH OF JULY CONCERT AND DINNER: Tuesday, July 4, 4 pm. 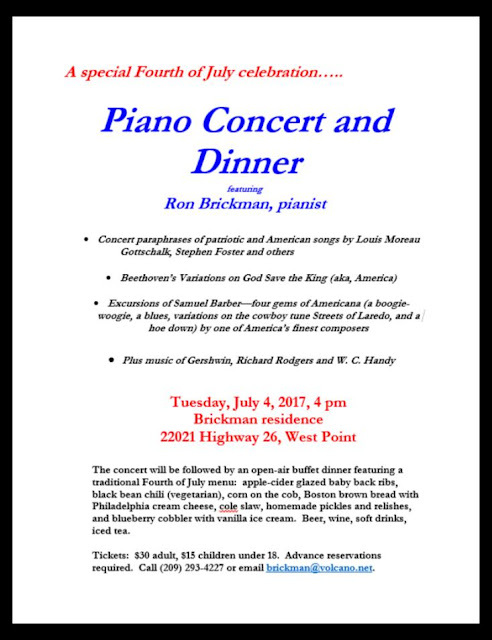 West Point pianist Ron Brickman performs a program of concert paraphrases of patriotic music and highlights from America’s musical history. Works by Louis Moreau Gottschalk, Stephen Foster, George Gershwin, Richard Rodgers, Samuel Barber, Beethoven and others. Followed by an open-air buffet dinner featuring regional American specialties. $30 adult, $15 children under 18. 22021 Highway 26,West Point. Advance reservations required. Call (209) 293-4227.
at the National Hotel, 2 Water Street in Jackson, Sunday July 2 at 3pm. 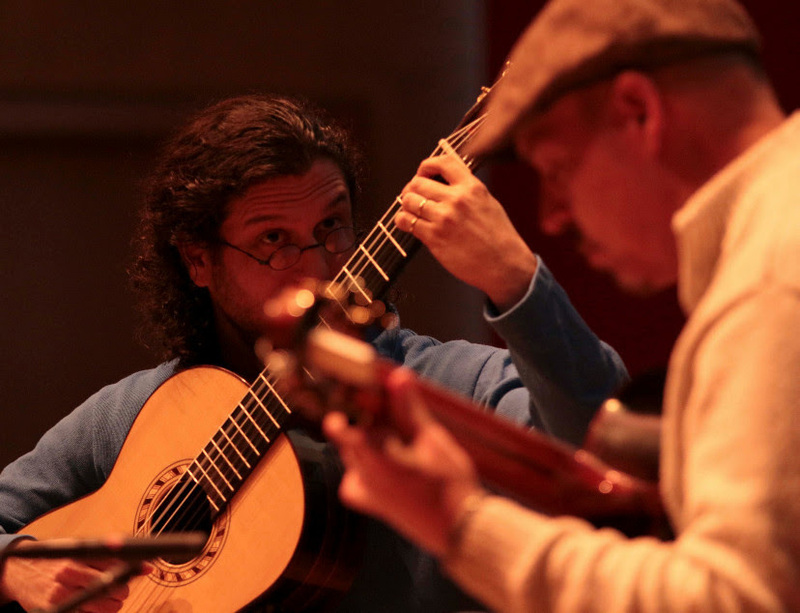 Noted for his “astounding technical skill and artistic delicacy” (Boston Musical Intelligencer), classical-world guitarist Aaron Larget-Caplan is an international touring and recording artist. He has performed solo and chamber music in Russia, Europe and across the United States. At the age of 16, he made his debut at the Tabor Opera House and has since premiered over 65 solo and chamber compositions. A gifted performer and speaker, he is sought for his deft programming of new and standard repertoire while connecting with audiences with a Bernstein-esque ease. 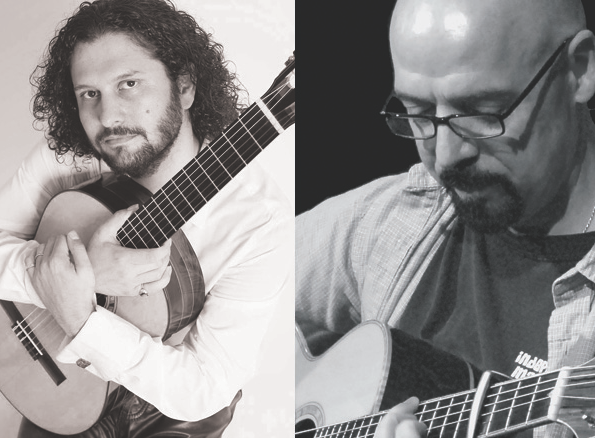 Peter Janson is an award-winning contemporary fingerstyle acoustic guitarist, composer, and music educator. He has performed at the Montreal Jazz Festival, the Healdsburg Guitar Festival, among others. He has had three albums in the Top Five of the NAR radio charts, and his recordings have over one-million BMI verified broadcasts across all media. His contemporary solo guitar music fuses jazz, classical, and world-folk styles, and blends passion, artistry, and technical mastery as he weaves songs about heat and life. The concert will be held at National Hotel, 2 Water Street in Jackson, Sunday July 2 at 3pm. Tickets are $20 at the door. This intimate (40 seats) acoustic show will be just off the lobby. Chip Lusby and Victorian Gardens for furnishing lodging and meals for our musicians at his large Victorian house in Sutter Creek. You for forwarding emails and telling friends (this saves advertising cost)! 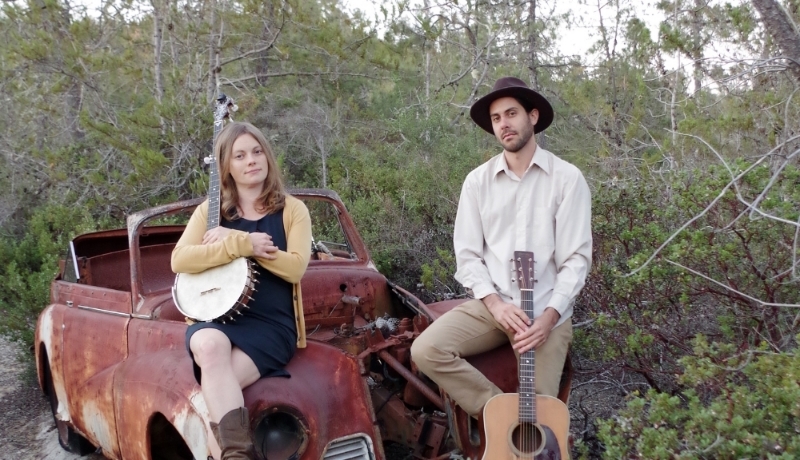 SUTTER CREEK, CA - On Saturday, July 1 At 7 p.m. Feist Wines concert series continues with LA-based Americana duo, Freddy and Francine. The shows are on the patio of the avant–garde tasting room in downtown Sutter Creek. They have released 2 EPs & 3 full length records since 2008. Their latest, “Gung Ho” was produced by renowned producer Todd Sickafoose (Ani DiFranco, Andrew Bird, Anais Mitchell) and featured members of Ryan Adams, Rufus Wainwright, and Andrew Bird’s touring bands. 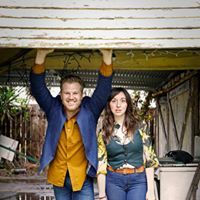 With featured sets scheduled this year at the 2017 Telluride Bluegrass Festival and past headlining performances at Rocky Mountain Folks Fest and Madison Square Park, the duo is welcomed to Sutter Creek. Wood fired pizza and wine will be available. Tickets are $15 and are available at feistwines.com or at the tasting room. 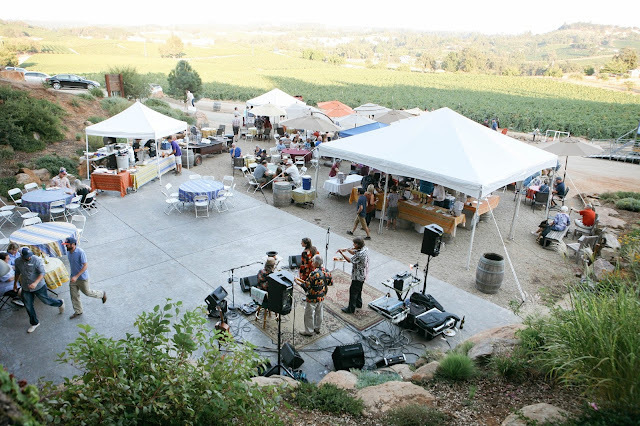 PLYMOUTH, CA — Bella Grace Vineyards will host “Sounds in the Vineyard” on Saturday, July 15 at their wine cave tasting location in Amador County. Three Sacramento area bands will play at the festival spanning from jazz to folk. His music influences span from early country rock to jazz-fusion. He has opened for Tim McGraw, Kenney Chesney, Wynona Judd and many other big names. He’ll be accompanied by Sacramento artist Danielle Walsh. Her vocal style is likened to Adele and Stevie Nicks. Visit billwalshmusic.com. Recognized for their eclectic sound, the Americana band fuses elements of country, roots-rock, folk, bluegrass and classic rock. Visit therandomstrangers.com. The band includes some of Sacramento’s best musicians who share a desire to play new music inspired by the sounds of Santana and funk bands of the ‘70s. Visit reverbnation.com/aarongayden. Admission is $25 and includes a complimentary glass of wine. The festival will be held on Saturday, July 15 from 5pm to 9pm. Pizza, wine and beer will be available for sale. Lawn chairs are welcome. Seating is limited. Bella Grace Vineyards is located at 22715 Upton Road in Plymouth. Located in the Sierra Foothills of Amador County, Bella Grace Vineyards has earned prestigious awards and accolades for more than a decade. Visit www.bellagracevineyards.com for more information. 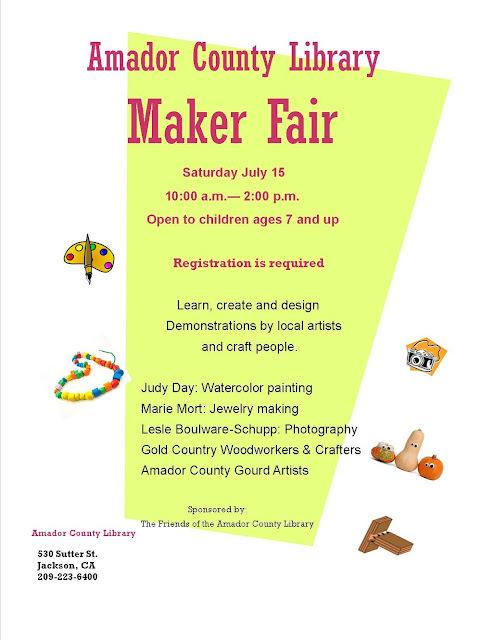 Reserve your space now for the Maker Fair on Saturday July 15, 10am to 2pm at the Main library Jackson. Meet local artists and crafters, learn, connect, discover! Open to children ages 7-up and their caregivers. Registration is required. For more information contact the library: 209-223-6400. City of Trees Brass Band is a group of six young musicians who perform in the tradition of New Orleans brass bands. You’ll see these enthusiastic players on horns like trumpet, trombone, saxophone, drums and even with a powerful female vocalist on Friday, July 7 at Detert Park in Jackson. It’s another new innovative band to grace this season of AmadorArts’ TGIF free concerts. Just like many New Orleans bands, City of Trees Brass Band, over the last three years, has chalked up 1,200 hours of street performance, dozens of educational clinics, and many inspirational assemblies for K-12th graders, The Brass Band takes pride in its contribution to Sacramento culture. 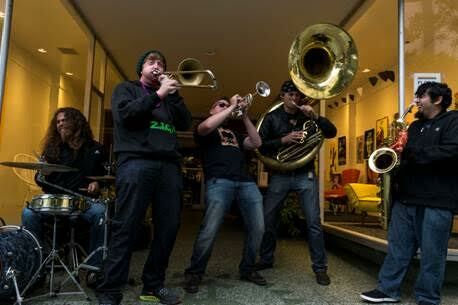 In the ultimate test of brass and brawn, the Trees took a two week trip to New Orleans where they discovered their sound not only holds up to the standards of the Crescent City, it belongs there. They’ve added elements of funk, hip hop and bop just like their cohorts in New Orleans. Get them while you can, because they may be gone soon. The concert starts at 6:00 pm, but many arrive earlier to these TGIF free events to secure their favorite spots, bringing friends, chairs and picnics. 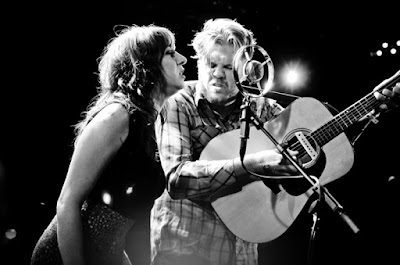 AMADOR COUNTY, CA - Saturday, June 24 at 7 p.m. Feist Wines hosts Santa Cruz duo Bent with Honey in concert. Sheila Golden and Will Fourt have been picking, singing and songwriting together for four years. Steeped in bluegrass and old time, the pair team with various musicians to add elements of swing and new acoustic to their music. Fourt played in his first band at the age of eight. After several San Francisco bands - such as Belle Monroe and her Bluegrass Boys, Five Dollar Suit, and the Heel Draggers - Will became a staple fixture in the Bay Area bluegrass scene. Golden grew up singing songs in her head and eventually decided to try singing them out loud. Originally from West Virginia, Sheila writes songs about miners and other parts of West Virginia culture. She plays guitar and sings with Santa Cruz bluegrass band, the Down Beets. The show will be held on the patio at Feist Wines in Sutter Creek. Farm to fork wood fired pizza, small plates, dessert and Old Soul Coffee are available. Tickets are $15 and are available at feistwines.com. The next First Saturday Amador Art Trek is on July 1, a free self-guided walk or drive-and-walk tour that provides easy public access to where art is located. Part of Art Trek is the monthly “1st Saturday” when many participating galleries have receptions in the afternoon to kick-off their new shows. AmadorArts Gallery- Sutter Creek. 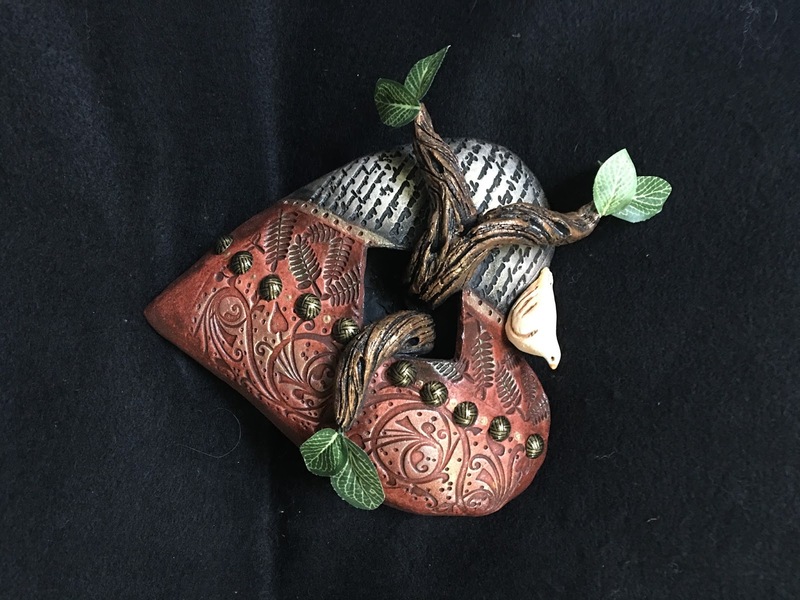 For Juy: New mixed media works, including some interesting ink-pour pieces by Pine Grove artist Marleen Olive, and ceramic sculptures by Michele Fisher, who combines clay with different elements of re-purposed furniture and wood elements. Her exposure both to the art of European Catholicism and the art of the Middle East are strong influences. The Art Trek and opening reception is on Saturday, July 1, from 2:00 to 5:00 pm. Go by for refreshments and friendly conversation. Hours: Sat. and Sun 11 to 5. Call 209-267-9038 for weekday hours, Tues.- Friday. 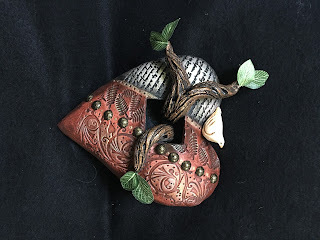 Fine Eye Gallery- Sutter Creek – Featured for July: Rustic Garden. Fun and whimsical metal garden stakes, tables, sculptures and wall art. Judy and Doug Marcoe are the artists from central Oregon. Open daily 10-5:30. Gallery 10 - Sutter Creek. For July: Susan Hayne, accomplished printmaker who has a BFA from The Academy of Art College in San Francisco. 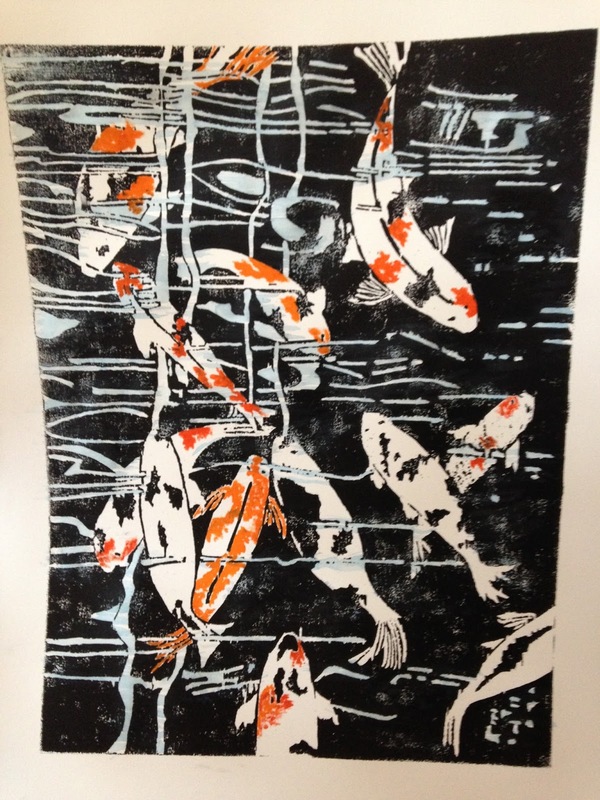 Showing will be a large variety of her works, including linocut, woodcut, copper plate etching, monotype and embossing. She’s lived in El Dorado County for 38 years and finds most of her inspiration right outside her door! A reception in Susan’s honor will be held at Gallery 10, 15 Eureka St., Sutter Creek, on Saturday, July 1, 2-5 pm. Gallery hours are Thurs.-Mon. 11-5. Little City Studio and Gallery- Amador City. July: Go to Little City Studio & Gallery on Friday, July 21, from 5-8ish, for “a very interesting show opening!” Theme: "What Can I Do With an Old Book?" Artists have been asked to use an old book, in some form, as the basis of their new artwork -- pages, binding, the whole kit and caboodle. See what creative imaginations can come up with! Gallery/studio hours: 10-5 on Fri, Sat, and Sun. Info at 209-259-0781. Petroglyphe Gallery - Mokelumne Hill. For July: see many works from fine artists known nationwide, and the inspired gifts in their Copper & Willow section of the gallery. Their clever greeting card selection includes cards for every occasion. Check out the unique gifts to go with the cards. Open Thursdays through Sundays at 11:30. Sutter Creek Gallery “Art for Everyone”- Sutter Creek. 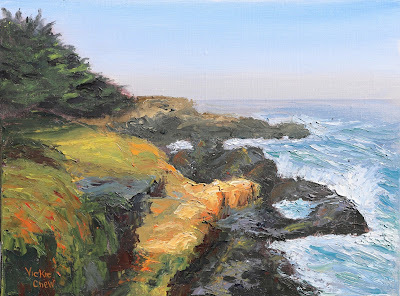 For July: Oil painter Vickie Chew’s show. 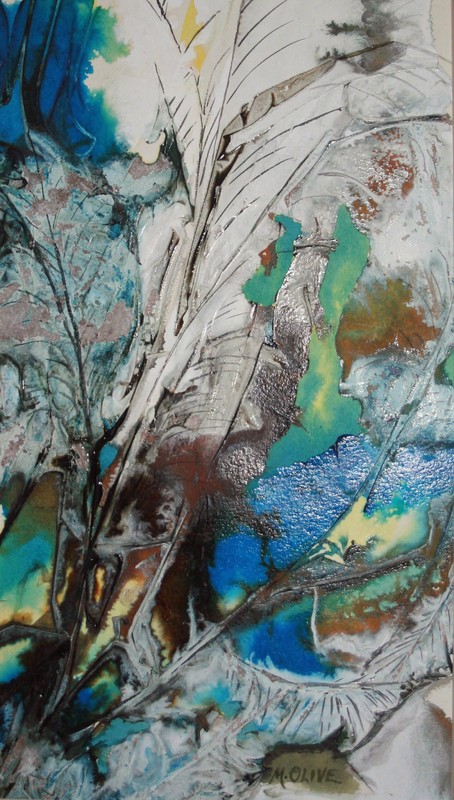 She likes to work with a palette knife, but in addition to paintings, the artist paints murals and accepts commissions. Vickie’s show will open on July 1 with a reception starting at 2 p.m. Visit for refreshments and conversation with the artist. Open daily 10 am – 5 pm, but closed Tuesdays. Opens this Friday! 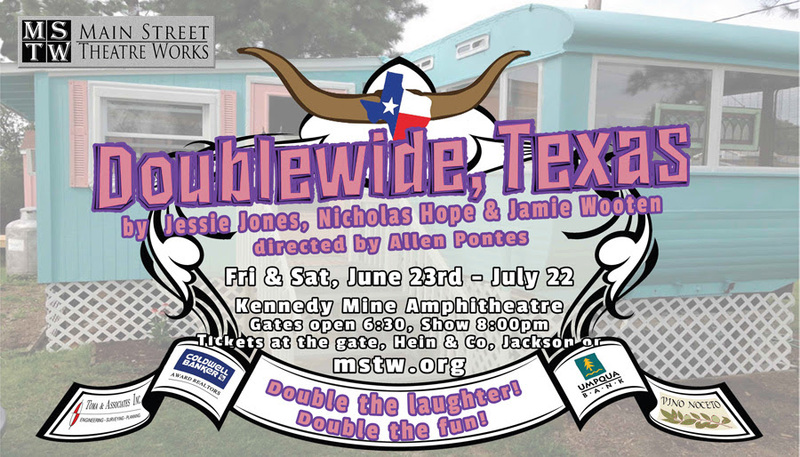 Grab your stetson and join MSTW for a hilarious Southern Comedy, "Doublewide Texas"
OPENING WEEKEND June 23rd! Grab your Stetson and come on over to DOUBLEWIDE, TEXAS, where life is double the fun, and you’ll double over with laughter! 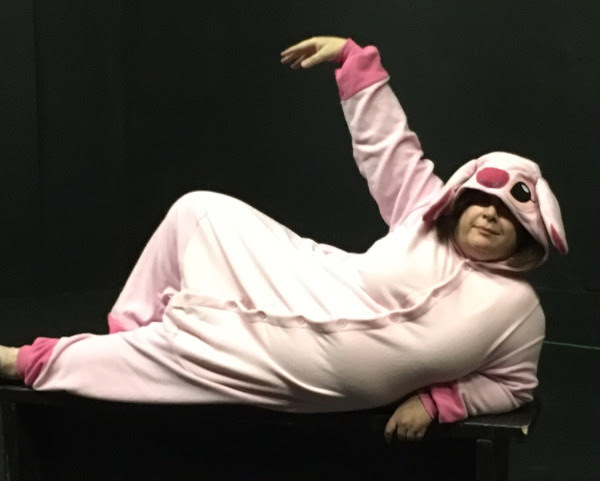 Come see why Big Ethel (Georgann Wallace) is in a bunny costume! the nearby town of Tugaloo is determined to annex them. 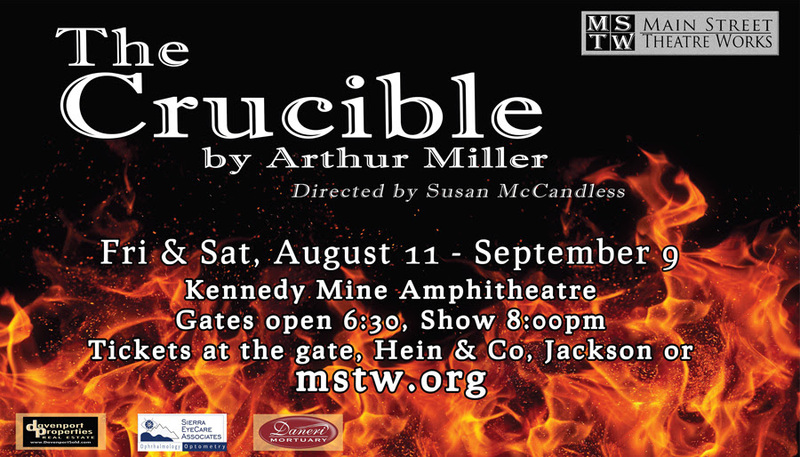 Copyright © 2017 Main Street Theatre Works, All rights reserved. June at Sutter Creek Provisions!